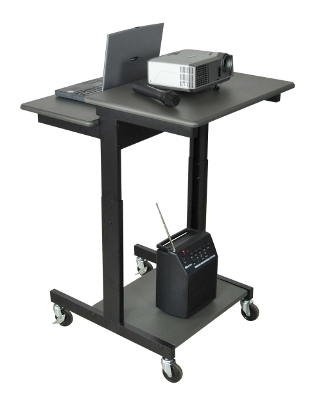 The Luxor PS3945 is an adjustable height computer workstation, presentation station, lectern made from wood laminate work surface and powder coat painted steel frame. Features 3" Casters, two with locking brake. 24"W x 31"D and Adjust in height from 39" - 45". Assembly required.